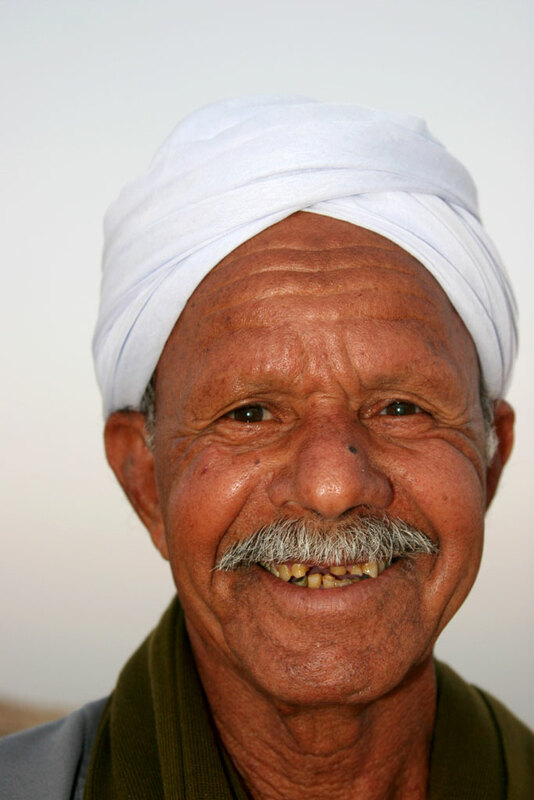 El Hag Saleh, we call him the desert fox, is the one who was born and has lived all his live in the desert. After some time he keeps all the desert with its sanddunes, mountains and rocks like a map in his mind. He can imagine all this like a movie. Since he was young he worked with his father and grandfather with the camels in the desert to carry goods from place to place. 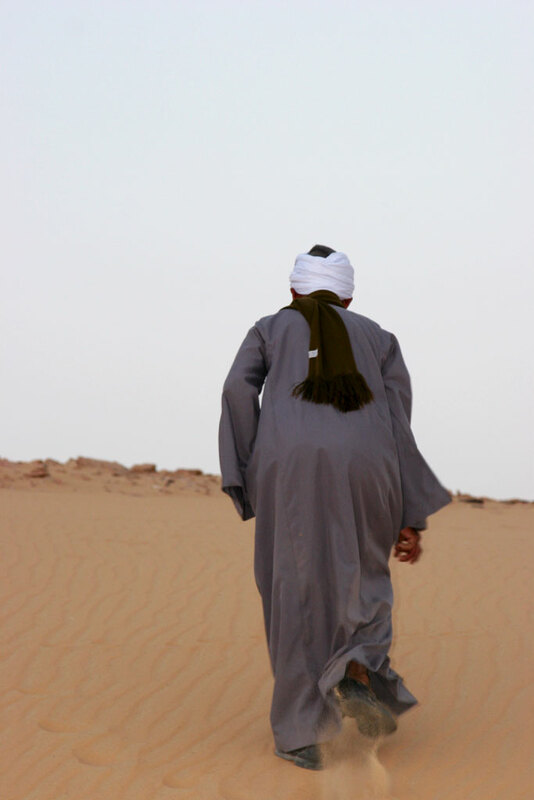 And this made him professional to know the routes and tracks in the desert day or night. He worked with all the foreigners that came to Dakhla to discover archeological sites and with people exploring the desert. Until today people feel more save with Hag Saleh, than with any other technical help like GPS. 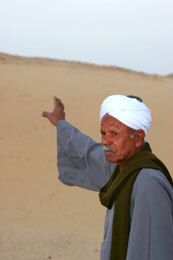 Hag Saleh is working with our guests in the Western Desert and you can book Hag Saleh as a desert guide from our place.